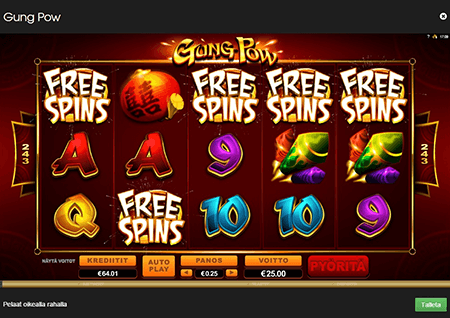 "A well run casino - honest and fair - with an awesome assortment of software and games!" 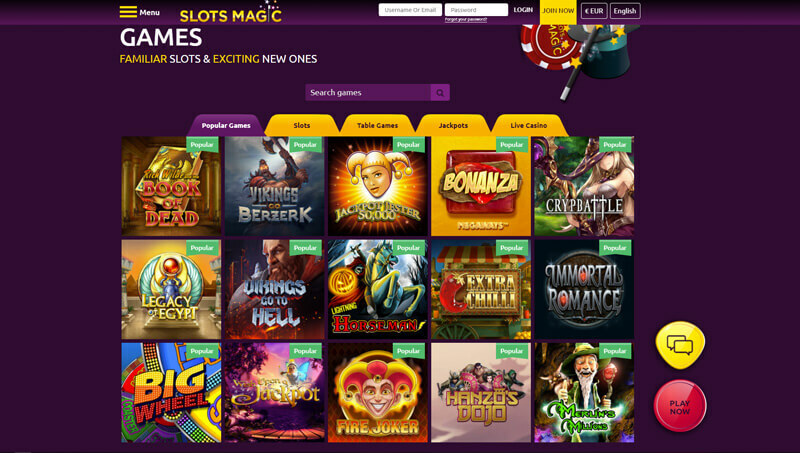 Slots Magic is an online casino licensed by the jurisdictions of Malta, Denmark, and Schleswig Holstein. Their main platform of games includes SkillOnnet, WMS, NextGen, Netent, Barcrest, Evolution, Yggdrasil, Bally, Barcrest, Big Time Gaming, Elk Studios, Thunderkick, JustForTheWin, Microgaming, IGT, Genesis, Rabcat, XPro and many more. Their website is relatively easy to navigate, and once downloaded, their casino software is intuitive. They have recently increased the speed in which they payout. At the moment they claim one day payouts to include weekends, which is great. I am hoping the Meister Minions can give us some real time stats – because you never know sometimes. Personally, I have received payments within 24 hours. I also like the way in which one can search for specific games. Their games selection is tops – and it’s actually hard to beat. Slots Magic, which at one point was the award winning Jackpot Party Casino, has gone through some growing pains, but it’s safe to say that they have become a very well run casino. I have met the casino staff on numerous ocassions, and it is apparent that they take their business seriously. Above all, they treat their players and affiliates with the upmost respect. They are ethical, fair, and above all – trustworthy. 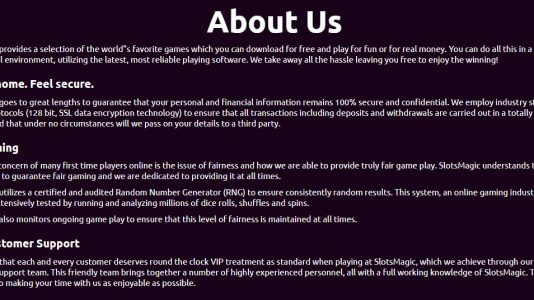 Since coming on board, they have made a real effort to improve their “player experience” with shortened payout periods, weekend payouts, great conditions for their bonuses, and a real solid forum presence. One thing for sure, is that their withdrawal limits is hurting their score. At the moment, it is $10,000 per month. I am hoping that this will increase in the near future. Slots Magic Casino Terms and conditions Apply. Definitely a pretty good casino – a great assortment of games (except for their video poker). I play there occasionally, and would recommend them to my friends.